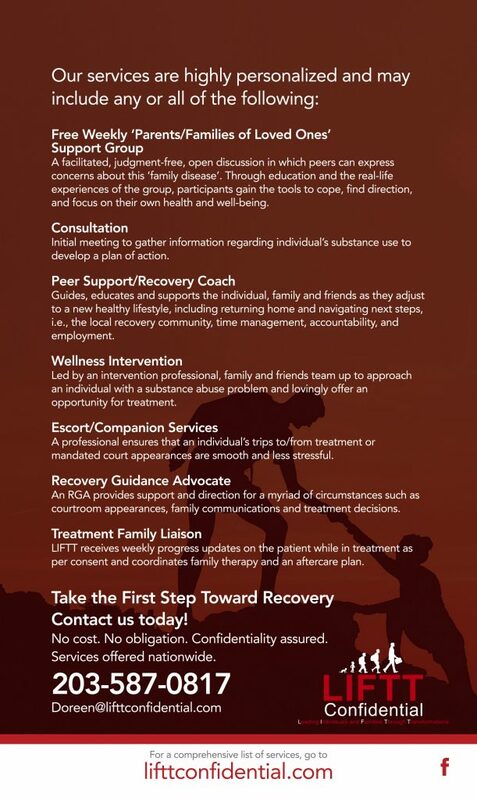 LIFTT offers a wide range of critical services to individuals and their families dealing with addiction. 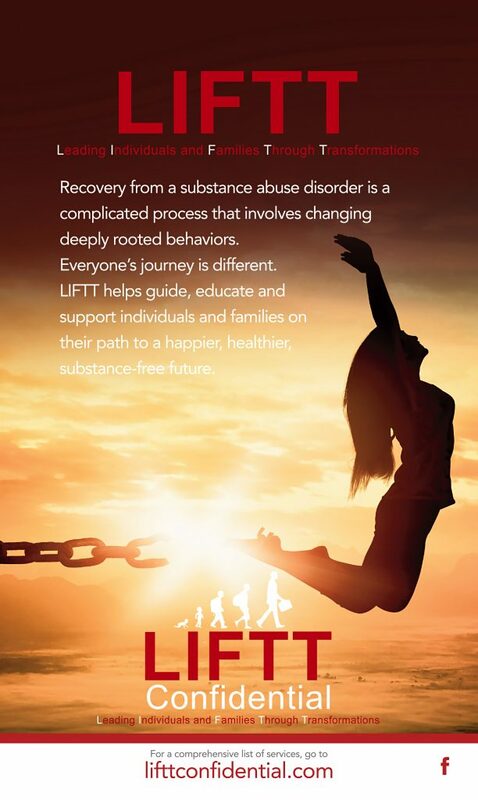 The organization needed a promotional write-up that it could give out to treatment facilities around the country to refer LIFTT’s services to its clients. The write-up had to be able to fit within a treatment facility’s own brochure as an unattached enclosure. At the same time, it couldn’t just be a typed handout. It had to look and sound professional to gain the trust of potential clients. Susan Greene, copywriter, was asked to help develop the write-up. Working with her graphic designer, she created a two-sided flyer that briefly explained the organization. The flyer was designed to be neatly tucked within other existing brochures, implying it offered add-on services that were separate but complementary. The flyer paired uplifting, hope-filled images with a brief description of LIFTT’s services. The directors of LIFTT Confidential were extremely pleased with the way the flyer turned. Copy and design worked hand-in-hand to promote the program’s services and establish the organization as reputable. Are you ready to get an effective copy?